Gunn notes that bad information suffused the story early on. CBS news correspondent Dan Rather said that JFK was falling forward after the fatal shot. The Warren Commission report inverted frames from the Zapruder film, so it looked like the president fell forward. “… I believe they did a profound disservice to the American people. They did not conduct a serious comprehensive conscientious investigation… They created a prosecutor’s brief against Oswald… a profound disservice giving life to conspiracy theories. He says some key witnesses lied or were not candid in interviews, citing CIA director Richard Helms and New Orleans FBI agent Warren DeBreuys. He says the autopsy in Bethesda was “a disgrace,” a claim about which there is not much controversy. Gunn talks about one of the most important discoveries of the ARRB: problems with the medical evidence. He says the photo technician who developed the autopsy photos not only cannot authenticate the ones in the National Archives now. She says they are not the photos she developed, and the content of the photos is different. Gunn doesn’t talk about the implications of tampering with the autopsy evidence. He says Oswald was impersonated in Mexico City, and the CIA covered up its knowledge of this in order to not be blamed for an intelligence failure for allowing Oswald through the security net. But the impersonation of Oswald raises much larger issues than negligence. Impersonation also raises the question of who orchestrated the impersonation, and for what purpose? Again, Gunn doesn’t go there. Gunn’s talk is informed and thoughtful look about the state of the case. I certainly agree that the WC played the part of the “prosecutor”. But after all, they were ordered to by the FBI. This is the kind of irrefutable evidence that simply can’t ne ignored. Gunn is not a conspiracy theorist. He simply presents what he has learned. These are not Factoids that certain people will bring up to try to muddy the waters. He presents what he learns and then challenge people to come up to their own conclusions but, is not shy to ask questions about where that evidence leads. It is a fact that doctor Humes destroyed his original autopsy notes. Why is an obvious question? A reasonable person is going to assume he had something to hide. These are the kind of facts and not factoids that lead reasonable persons to question the official story. These are not Factoids that certain people will bring up to try to muddy the waters. Actually, his account if full of factoids, including Oswald being impersonated in Mexico City, and the testimony of Sandra Spencer (of the “too nice looking” supposed autopsy photos). Because he didn’t want them displayed somewhere as a gruesome spectacle. For the same reason, he had the blood soaked sheets that Kennedy’s body came wrapped in immediately washed. See Shenon about that. Are you really claiming that Oswald was not impersonated in Mexico City? What about the telephone call, and transcript of the conversation, between Hoover and President Johnson a day or two after the assassination? Hoover confirmed that Oswald was impersonated in Mexico City. How can you say this is a factoid? This has been discussed extensively on other threads. All the business about “tapes from Mexico City” came from Belmont, who talked to Shanklin and misunderstood what Shanklin told him. Here is the memo that Eldon Rudd brought from Mexico City, with photos of the “mystery man” (briefly thought to be Oswald) and transcripts of tapes, and no tapes. It says the tapes have been erased. Here is a memo, from Shanklin, saying he’s expecting photos and transcripts. No mention of tapes. Do you agree that Angleton visited the home of Winston Scott after he passed away, and took away a tape? I don’t remember offhand if Angleton took any tapes. Feel free to post a source (and a primary source would be best). I do know that there is no evidence he took any tape of Oswald’s voice. In other words, and according your logic, the claim that Oswald went to the Cuban and Soviet embassies are not supported by any direct evidence, and therefore must surely render such claim a “factoid”. The record shows that the FBI was already aware that someone was impersonating Oswald, and had been for some time prior to the murder of JFK. In regards to the initial understanding of the head wounds and shot trajectory, Mr. Kilduff’s statements and descriptions of the wounds and their modalities are clear and succint, and were formed and based upon the initial explanations and informations provided by the treating team of physicians at Parkland. Nonsense. Kilduff could have known nothing other than that Kennedy was shot in the head. He would have had no way to know what the trajectory was. That sort of thing requires an autopsy. The direct evidence includes testimony of people at both embassies, phone taps at both embassies, Sylvia Duran’s phone number in Oswald’s address book, and the visa application that Oswald submitted at the Cuban embassy. They there is the fact that Oswald told Marina about it. And wrote a letter of complaint to the Soviet Embassy in DC, saying the Soviet Embassy in Mexico City had treated him badly. Yeah, the third in command of the CIA and one of the most wretched bastards of them all made a special visit to Win Scott’s widow and bullied his way into taking the contents of his safe purely for altruistic reasons. The fact he made the trip alone should tell you something about the importance of what he was seeking – no one else could lay eyes on whatever it was. And Anne Goodpasture did tell the ARRB under oath that Win had taken one of the cassette tape recordings of someone calling himself Oswald in Mexico City. It’s this lack of reasonable suspicion that undermines the credibility of the lone nutters. At least acknowledge when something looks strange. You subscribe to also sorts of damning explanations for Oswald’s behavior the day of the assassination. Tell us what’s an innocent explanation for Angleton’s behavior. And Anne Goodpasture did tell the ARRB under oath that Win had taken one of the cassette tape recordings of someone calling himself Oswald in Mexico City. Post a source for this. The ARRB manipulated her by telling her, as a fact, that a tape “not of Oswald’s voice” was taken to Dallas. So she speculated as to what that might be. BTW, we are talking reel to reel tapes. Tell us what’s an innocent explanation for Angleton’s behavior. Scott doubtless had a lot of highly sensitive stuff in his safe, so what is sinister about Angleton wanting to get control of it? You don’t send the local CIA guy to pick up that stuff? Can’t trust one of your local agents? Really? Well, it was speculation on Goodpasture’s part — unasked btw, which is strange because she was so careful with her answers throughout- of what Win Scott might have done with the tapes. Maybe Angleton heard the same thing or had the same suspicions. I can’t believe it’s often that a CIA station chief is suspected of putting prime evidence in a personal safe. Anne must have heard that somewhere. I read pages 144-150 and don’t see Goodpasture being confused about what tapes they are referring to throughout — the tapes of someone calling himself Oswald. And she does say she believes those tapes were given to an FBI agent in Laredo. I urge everybody to read the testimony you linked to (and back up a couple of pages to where the “tapes” stuff starts). She plainly don’t know of any tapes of Oswald’s voice, or of some imposter’s voice. She doesn’t know of any such tapes in Win Scott’s safe. She speculates that some tape might have been taken to Laredo, after being told that Hoover mentioned a tape of a voice not Oswald’s. She also told the HSCA that all the tapes of Oswald were erased. That’s in the Lopez Report, IIRC. Just by coincidence, Angleton was caught by Ben Bradlee snooping around Mary Meyer’s property looking for her diary as well – what justification do you have for that, Professor? and let’s not forget the incident at the home of Sylvia Odio. Autopsy notes would be a gruesome spectacle? How can words on a paper be gruesome? A spectacle? He destroyed critical evidence in the sheets and that’s the best reason you can some up with? Every murder case has notes and bloody exhibits and ugly photos and things that are entered into evidence in a criminal trial, yet in this lone case it offends the delicate sensibilities of a military medical professional? Be serious. You delve into the minutia of every element of this case, every witness (or so you would have us believe), and yet when it comes to actually applying some sort of actual logic or critical thinking, you are totally lacking. yet in this lone case it offends the delicate sensibilities of a military medical professional? Be serious. It’s irrelevant whether you think Humes should have done this. That was what he believed. yet when it comes to actually applying some sort of actual logic or critical thinking, you are totally lacking. I’m afraid your logic is lacking since you start with conspiracy book assumptions. Whether the sheets were bloody, the point holds. This is a murder investigation and a senior military officers are not known for being squeamish. Those notes were also critical evidence, so destroying that critical evidence also compromised their use as a evidentiary tool. Humes was no fool, he knew that. Again, with the assumptions it’s the pot calling kettle black. Humes’ reasons for doing this are not credible, given how unprofessional it is and how much it potentially damaged a case that might be made against a suspect, but you will cling to anything that supports your theory. So what do you think the notes said? We have the autopsy photos and x-rays, which show the nature of the wounds. What sinister piece of information do you think was in the notes? Humes destroyed the notes and original autopsy report the same day Oswald was murdered. The same day the FBI destroyed the Oswald note. The same day Hoover switched from the case against Oswald not being very strong to the public must be convinced of his guilt. What do I think the notes said? I have no clue, and even if I had an opinion it wouldn’t mean anything. Once again, though, you try to distract from the real issue — actual improper behavior by a key investigator that served to hide the truth (whatever that was) which would have made prosecution infinitely more difficult because it ruined the chain of evidence. Given that Humes was no dummy and he knew what he was doing was improper from a legal standpoint, I think that we can safely say that it raises some serious questions. Now if this were the only impropriety in the investigation, or the only questionable decision made by the investigators, it might raise an eyebrow but ultimately be a footnote. But the whole investigation was riddled with improprieties and mistakes. To this day, nobody can say exactly where the wounds were, even though that should have been the most concrete thing in the whole case. Assuming everything isn’t random, who would benefit from confusion? Not Oswald. You repeatedly say that mistakes and bad decisions are a natural part of an investigation, but that’s absurd. This investigation was run by people at the highest levels. Again, though, the issue isn’t me, it’s why Humes did what he did. Ok then “expert”..were Nicole Brown Simpson’s near beheading too gruesome for her autopsy notes to be kept for later use, like in trial? If you think is was sinister that Humes destroyed his notes, you need to produce some theory about how it might be sinister. If you can’t, you need to admit it wasn’t sinister. For example: Horne believes that Humes was part of a conspiracy to alter JFK’s wounds — David Lifton style. If so, did he actually make notes of how he had altered the wounds? If so, why would he admit he destroyed them? Gunn is very precise and direct on this matter, when he took Humes’ deposition, he pointed out that Humes wrote this autopsy report at his home sitting in front of his fireplace. Note that Humes not only destroyed the notes that supposedly had Kennedy’s blood on them, but he also destroyed his first and original autopsy report. This is part of the ARRB official record. The so-called “Official Autopsy Report” in the National Archives is NOT the original report, that Humes admits he destroyed. I am in agreement with the others here that John McAdams is being disingenuous in his approach to this issue, as I think any reasonable person would find this situation suspicious. Too nice and printed on the wrong paper. If that’s a factoid, then factoids are proof, and someone is abusing the word “factoid”. Regarding the Mexico city incident, LBJ and Hoover were discussing the impersonation of Oswald the very next day. At the behest of the FBI, Mexican police detained the key “witness” Sylvia Duran twice for questioning. This is hardly a “factoid”. Regarding the Mexico city incident, LBJ and Hoover were discussing the impersonation of Oswald the very next day. But Hoover was mistaken, mislead by Belmont who misunderstood what Shanklin in Dallas told him. At the behest of the FBI, Mexican police detained the key “witness” Sylvia Duran twice for questioning. This is hardly a “factoid”. I think you mean “at the behest of Win Scott.” The CIA is different from the FBI. And how does this indicate a conspiracy? The fact I that there are too many factoids to ignore. To convict Oswald the Goverment had to be able to prove their case beyond a reasonable doubt. Beyond a reasonable doubt AND to a moral certainty (per instructions given to me when on jury duty). Gruesome spectacle? Perhaps you need to actually watch the presentation too might learn something. I find it surprising that a so called expert on the case would answer me with a real factoid. He isn’t aware that the story about his notes being a mess was a lie? One that he later admitted under oath. I find it hard to believe a professor didn’t know this. He isn’t aware that the story about his notes being a mess was a lie? I’m afraid you are going to need to post some evidence on this. 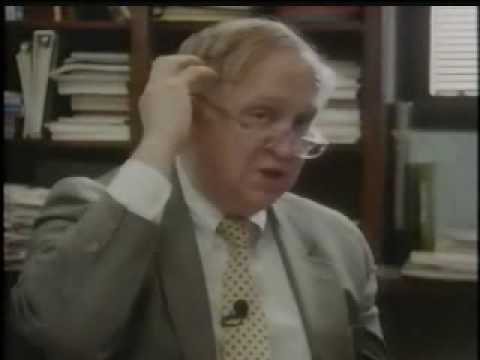 John McAdams, let me see, where should I begin. How about not using the word “Factoid”. What you are describing as “Factoids” are in reality Factual Evidence. I suggest to you Mr. McAdams that you stop trivializing actual evidence. Your response here to this statement made: “It is a fact that doctor Humes destroyed his original autopsy notes. Why is an obvious question? A reasonable person is going to assume he had something to hide. Let me says this Mr. McAdams, sheets may or not be evidence, but autopsy notes are. I hope you can see the difference. In the first place, I’m not sure that autopsy notes have any evidentiary value. It was the signed autopsy report that was evidence. Notes are notes. It was standard practice, for example, for FBI agents to destroy their notes after they had written their report. Also, Humes was not a forensic pathologist. Which means he didn’t necessarily know as much as (say) Earl Rose did about requirements of a forensic autopsy. So you can fuss and fume all you want about how the notes should not have been destroyed, but none of that is conspiracy evidence. This reply is to John McAdams’ post of Oct 13th about the autopsy report, at 5:33 PM. The signed autopsy report in the Archives (CE 387) is only the third written version of that document. The first draft of the autopsy report, and the original notes, were burned in Humes’ fireplace, and the first signed version is missing. Each time the autopsy report changed, its contents changed. Read chapter 11 of my book, “Inside the ARRB,” if you don’t understand any of this. Therefore, the version of the autopsy report in the Archives is nothing we should have any confidence in, and would not be admitted into evidence at trial, if a trial were held today. Without that report as evidence, the Warren Commission’s conclusions that JFK was shot only 2 times, and only from behind, evaporate. No, the autopsy photos and x-rays show the nature of the wounds. The HSCA Forensic Pathology Panel had those. Actually, no. I’ve read your tendentious questioning of Humes, and he seems to be saying “draft, notes, call it what you want.” Which means he destroyed one thing, which he early on described as notes. And exactly how many Pathologists in 1963 kept their autopsy notes after dictating an autopsy report? How many kept blood and fluid stained notes after the procedure when the formal (and legal) document was typed up and placed in the medical record? Notes that carried infectious risks? The conspiracy crowd is hung up on something that was the standard practice of the day. Now virtually everything used is disposable and dictation is done during the procedure. OK Photon, I’ll bite. How many Pathologists in 1963 kept their autopsy notes? You then make a statement about standard practice as if it is fact after not answering your own question. Well I beg to differ that when it is a major crime and with what the New York Times ultimately called the most extensively researched investigation in history, then it is a major problem to discard the closest written evidence to the “best evidence”, namely the notes to the autopsy. This can’t be brushed off so easily as “common practice”. Maybe when the guy down the street gets offed by his wife who just bought a million dollar life insurance policy on him does the Pathologist burn his notes, but not in this case is that even close to common practice. What about all the blood-stained clothing kept in the Archives? The Autopsy Face Sheet has blood stains. (Sorry I don’t readily have a color copy but use your imagination). So the original is present after all. You really think bloody notes are destroyed so as not to spread disease? Listen, I have mentioned before how I covered many murder trials as a member of the press. Routinely in those cases, bloody evidence is taken from sealed evidence bags and handled by prosecutors and defense lawyers while they are questioning witnesses before a jury. I can recall because I thought it was kind of icky, but for people doing those jobs it must be routine. The point is, though, that it is amusing how you demand everybody disclose credentials when you just make stuff up without the slightest clue that you have any idea what you are talking about. Yes, that is a primary reason. Contaminated notes are not supposed to leave the autopsy suite. That is standard protocol . While in the 60s those protocols where not as stringent as currently, what we now call universal precautions were still present to a degree. Probably the most significant concern at the time was transmission of tuberculosis . You obviously have no knowledge of what an autopsy entails, what the procedure is , what body cavities are entered, what body fluids are exposed, what tissue may be obtained. Those fluids are not limited to dried exsanguinated blood but include bile, CSF,intestinal contents, pleural and peritoneal fluids-all of which have different infectious potentials related to variou infectious agents. Comparing the infectious potential of dried blood on various evidentiary objects to the body fluids obtained at autopsy is simply ignorant. It is this superficial knowledge of medical procedures and the gross errors of conspiracy buffs with little real knowledge of those procedures that passes as medical evidence in the conspiracy community. Photon, why can’t you just admit for once you have no idea what you are talking about? You really think JFK’s blood was contaminated with tuberculosis? Or some other infectuous disease? To be sure, even if it was, that would not make destroying the notes proper or not suspicious. But obviously that is an absurd possibility. Since you have taken the time to google a lot of medical terms that you obviously don’t understand, given how you misuse them (of course it is possible you are just a bad writer), care to tell me how many autopsies you have performed or where you got your medical degree or where you practice medicine? Of course I believe that you are a highly qualified military medical thingy but more sceptical-types might say “Show Me”. Otherwise it might appear that you are holding Ms Feister et al to a different standard than the one you are applying to yourself. I’m not saying that you have to tell anyone where you were qualified or what in (of course not) but that you can’t continue to attack everyone else’s credentials if you’re not prepared to establish your own. And you need to stop using that four-letter “F” word…..’buff’. I don’t need a medical degree-I am merely stating what is the view of virtually every forensic pathologist who has studied this case-except Wecht. Actually I do know several pathologists who have given me information on this subject.Do you know any? Wow, just wow. You have no credentials, but you have read stuff. And you’ve allegedly talked to people. Of course, those anonymous people allegedly are correct, as opposed to the bad experts who are wrong. Thanks for clearing that up, although I’m still not sure how you are more qualified to discuss than anyone else here? What experts? Name one real expert, ie. a forensic pathologist ( other than Wecht) familiar with the case and the evidence who does not support the conclusions of the Bethesda autopsy,namely that JFK was hit by only 2 rounds, one entering the back of the head and exiting the right anterior aspect of the skull; the other entering in the back near the base of the neck, exiting near the thyroid cartilage . Both rounds came from above and behind. Give me just one example aside from Wecht of a credentialed expert in forensic pathology who supports a contrary position and has reviewed the evidence. After 50 years we are still waiting. As I have stated previously I am ACLS certified. That level of medical training exceeds everybody on this site excepting Drs. Mantik and Aguilar.I ask again, anybody here know a pathologist? Thanks, I appreciate that Photon. I think I’ve mentioned before that I choose not to comment on the medical evidence and leave it to the experts. It’s a labyrinth. Of course I know a senior pathologist (retired), doesn’t everyone? But that is not what we were referring to which was personal expertise and attribution. If I’m mentioning someone else’s views then it’s appropriate to cite my source. Otherwise I might leave the impression that it was me that was the expert. Hello Photon, I hear you are a doctor now. Let me be the first to congratulate you on this remarkable achievement. Two weeks ago you were only ACLS certified. Are we going to see you written up in the medical journals as a medical student marvel? A “reasonable person” is going to assume that someone with something to hide is not going to be stupid enough to write it down on paper so that he has to destroy it later, and that same someone with something to hide is certainly not going to admit to having destroyed ANY evidence if it runs the risk of raising the suspicions of folks like you who might assume that such destroyed evidence was incriminating. A person with something to hide would arguably be smart enough to recopy his notes and pretend they were the original ones he took. Absolutely correct. Only a dangerous degree of pacivity and gullibility can still call the JFK murder “a conspiracy THEORY”. The president was murdered and not by Lee Harvey Oswald. It was done due to a “perfect storm” based on the Kennedy policies which offended the Mafia (who provided the shooters), the FBI (who did all the local skullduggery along with local police force assistance) and LBJ (who hated the Kennedys and had motive and opportunity and was massively well connected). Why this is all ignored by a populace and a still complicit main stream media is going to go down in history as one of the interesting dimensions of life in the last half of the 20th Century. Wow, seems to me now that this lecture represents the most moderate position an informed individual can hold of this case. It’s interesting how Horne’s thesis compares after listening to this. Horne could have made his case purely hypothetical keeping his personal commitments out of it like Gunn does here. Horne could have operated purely on an ‘as if’ basis: if the government was responsible for this murder here is what was needed to have happened. But he does not. It would be interesting to ask Horne why he chose this route. Why should someone take the most moderate position possible on a subject this important? We need more people with courage who are not afraid to speak the truth. Jeremy Gunn would almost have you believe that “nothing is knowable” after listening to his speech. He talks about serious problems with the evidence, and yet does not discuss the obvious implications of what he is describing. The position that “nothing is knowable” is what the USG spinmasters want you to believe—it is first of all a cop-out, and it is what they are trying to achieve with all of the third party surrogate attacks on JFK researchers and with all of the internal dissension and infighting they have stirred up within the research community for decades. The people who take moderate positions on the JFK assassination (or those who engage in willful denial like the mainstream historians—Dallek and Caro, for example) do so not to enhance an argument, or to appear more reasonable, but to avoid censure by their peers. In a case like this which had been crippled by a conspiracy of silence by most of the mainstream media and virtually all of academia for 50 years, we need people of courage who will call a spade a spade and will speak the truth. You can’t be just a “little bit pregnant;” and you don’t have a situation in which autopsy photos and x-rays were suppressed or destroyed; in which skull x-rays have been altered; in which some autopsy photos do not reflect reality; in which other autopsy photos reflect not the damage caused by a bullet, but the damage caused by illicit post-mortem surgery performed prior to the autopsy, which was obstruction of justice; and finally, in which the brain photos in the Archives cannot be JFK’s brain, unless there has been a massive USG coverup. The same goes for lying about surveillance photos and audiotapes in Mexico City. I can tell you haven’t read my book. If you were to read all of the front matter and the major chapter about the fiasco involving the deposition of the Dallas doctors (a true “FUBAR”), you might better understand where I am coming from. Under the circumstances, I was as gentle with Jeremy as I could possibly be. This is a Post-Script to the above response. Anyone wanting to understand the complex relationship between me and Jeremy Gunn from 1995-1998 needs to read the following portions of my book: the Introduction, the Prologue, Chapter 2, and Chapter 9. The first thing anyone will notice who picks up Volume 1 of my book is that I dedicated the book to Jeremy Gunn, in an expression of gratitude for having been given a chance to join the ARRB staff. But this does not mean there were not frictions between us, sometimes serious frictions. The glue that held our relationship together for about 2 years was our mutual, intense curiosity about the medical evidence, and our like-minded approach, which was to take nothing at face value and to question everything. Neither one of us had an axe to grind; but we were united by our mutual, intense interest in the serious conflicts within the medical evidence, and we both wanted to better understand what it all meant, if that was possible. Our mutual goal was to “clarify the record” by taking depositions and conducting witness interviews. I was in favor of deposing the Dallas doctors early in the process, but Jeremy told me many times that we had to depose the autopsy participants and witnesses first. He always insinuated that we could depose the Dallas treating physicians later on. Once he became Executive Director late in 1997, it became clear to me that he was not going to push the Board Members to approve any depositions of the Dallas physicians. [Jeremy Gunn’s relationship with the Board members was testy at best, and in general, not good. They resented his curiosity about all of the JFK assassination evidence, and they universally believed there was nothing seriously amiss with the medical evidence.] Jeremy’s failure to advance this issue of the Dallas doctors with the Board was a major disappointment to me, for both the Warren Commission and the HSCA (to its everlasting shame) had dodged this issue, and had decided NOT to show the Parkland physicians the autopsy photos under oath, and ask them if they represented the wounds seen at Parkland hospital. Either the Warren Commission or the HSCA could have blown what we now know was a massive medical coverup wide open, had they done so, but both investigations dodged that bullet. They both stuck their heads in the sand on the issue of the Dallas doctors and the autopsy photos; and there is no good excuse for the failure of the HSCA’s Robert Blakey and Michael Baden to take this crucial action. Reasoning that it was unacceptable for the ARRB to also dodge this key issue, I wrote a “memo of conscience” to Gunn in February of 1998 strongly recommending—insisting—that we depose some of the key Dallas treating physicians in the presence of the autopsy photos. Gunn was furious that I had put him in a corner, as he put it, where he would have to take a stand and be answerable for it in the eyes of history. I thought it was overdue for me to have done so, since we were going to shut down 7 months later and our medical efforts appeared to have run their course. I knew that if the ARRB did not do this, no one in the government ever would. As Chapter 9 of my book reveals, everything went awry, and the exercise became a real “FUBAR.” Some of the Dallas physicians preferred not to come to Washington, and they were allowed to get away with this by the new General Counsel, Ron Haron. [In the meantime, Jeremy Gunn had mysteriously resigned.] Then, with the venue changed to Dallas, Steve Tilley of the Archives and Burke Marshall, the Kennedy family attorney, jointly sabotaged the ARRB deposition effort by refusing to allow the autopsy photos to travel to Dallas (even though they had earlier approved travel of the photos to Rochester, New York). [This was confirmed in an interview of Steve Tilley by George Lardner Jr. of the Washington Post.] The Board’s chair, Jack Tunheim, could not get Burke Marshall to change his mind. Instead of changing the venue back to Washington, as the ARRB should have done (where we would have had mandatory access to the autopsy photos), Ron Haron and Jack Tunheim allowed Dallas to remain the venue, which for all practical purposes—without the autopsy photos present—made the depositions of the Dallas doctors a waste of time. Ron Haron then recused himself from the deposition, saying he did not feel comfortable with the medical evidence; he knew he was out of his league. Jeremy Gunn, who had resigned, was recalled as a consultant to do the depositions of the Dallas doctors. He deposed them as a group of 5 people all at once, which was a violation of every basic rule of taking depositions that he had taught me the previous 2.5 years. He took with him my bootleg set of autopsy photos, but decided NOT to use them at the joint deposition in Dallas. He did not ask any of the Dallas doctors to draw diagrams of the head wound they had seen in trauma room one on 11/22/63. This still troubles me today, since in 1997 Jeremy Gunn found it perfectly acceptable and appropriate to ask Nurse Bell, Dr. Crenshaw, and Dr. Grossman to draw wound diagrams for us when we traveled to Texas to interview them. So this is how my relationship with Jeremy degenerated from one of a close ally in a research project, to that of an adversary. It is a story that pretty much mimicked what had happened previously between Gaeton Fonzi and Robert Blakey on the HSCA staff (over questions involving the evident perjury of David Attlee Phillips). In both cases, two staff members in responsible positions came to be seriously estranged over significant policy issues. It has happened many times in the history of organizations, and it will happen into the future. It is part of the human condition. The only difference between me and Fonzi is that my attitude toward Jeremy Gunn today is nuanced and complex, and is much more favorable than was Fonzi’s attitude toward Blakey when he wrote his book, “The Final Investigation.” I well understand that the ultra-conservative Board Members (who did not believe in a conspiracy or a cover-up) did not like Jeremy Gunn, and did not appreciate his curiosity about the evidence, so I knew he was operating within severe constraints. But I felt the ARRB had an obligation to history to finish our medical “clarification” project properly, and not to dodge the most important witnesses of all: the Dallas doctors. So anyone who reads my book will notice that when appropriate I praise Gunn for things I thought he did extremely well; and that I am critical of things that could have been done much better. I didn’t sugar coat any part of the story about our relationship, and was as honest as I could be, while still presenting my own opinions and my own viewpoint. Jeremy Gunn and I sparred over one other serious issue. I recommended most strongly in November of 1997 that as part of our Zapruder film authenticity study, we HAD TO perform a film test in Dealey Plaza, on 11/22/97, using the actual Zapruder camera, not simply different cameras of the same make and model bought at garage sales. Jeremy was reluctant to do so for political reasons, since it would create adverse publicity that the ARRB was studying (and perhaps doubted) the film’s authenticity; and because he knew it would be a hard sell with the Board Members. Jeremy deferred to Rollie Zavada, our Kodak consultant, who said such a test was not essential and that cameras of the same make and model bought at garage sales would suffice for such a test. In retrospect, this was a serious error, and an inexplicable one, since anyone in Hollywood will tell you that the only way to run a forensic film test about the authenticity of a film is to run test film THROUGH THE CAMERA IN QUESTION, since all cameras have slightly different, but detectable characteristics. It was a great opportunity missed, and the idea was killed because Gunn did not want to rock the boat and insist to the Board that we run such a test. This event commenced my estrangement with Jeremy Gunn. It is not a pleasant memory, nor is the fiasco over deposing the Dallas doctors. Jeremy’s failure to advance this issue of the Dallas doctors with the Board was a major disappointment to me, for both the Warren Commission and the HSCA (to its everlasting shame) had dodged this issue, and had decided NOT to show the Parkland physicians the autopsy photos under oath, and ask them if they represented the wounds seen at Parkland hospital. But PBS NOVA did that in 1988, and the doctors said the wounds in the photos were the same ones they remembered from the Parkland ER. Do you think they were lying? Who needs Congress when we have “Big Bird” to take up the slack? 1. Dr. Jenkins had already discredited himself by then, by changing his mind about what he had described in his treatment notes the day of the assassination (seeing cerebellum and an occipital-temporal wound), so what he said in the documentary doesn’t even count. Jenkins was clearly deferring to authority—to what the photos now showed—rather than sticking to his guns and backing up what he wrote the day of the assassination, before there was any official version of events to uphold. 2. Dr. McClelland was furious after he saw the documentary, and told journalist Anthony Summers that what he had said was improperly edited and taken out of context. 3. Drs. Dulany and Peters were a bit squirmy about what they were saying, and were equivocal, and not definite. Their comments that what they saw in the photos were “pretty much” what they remembered, seemed to lack conviction. They both seemed very uncomfortable saying that. The whole procedure as shown in the documentary was almost without any merit whatsoever, since the camera was not allowed to film what photo (or photos) each man was referring to when he spoke. All we got for the most part was general statements that were a bit soft, and lacking in conviction. That whole sorry procedure was no substitute for a properly conducted deposition, where each Dallas physician close to the gurney could be questioned about each autopsy photo, one by one, and where each response at the deposition could be linked to a specific photograph identified by number on the official inventory sheet. You are dodging the issue here, by claiming that a sorry interview procedure not linked to any specific images, and edited in ways that may have been misleading or dishonest, is equivalent to a properly conducted deposition by an experienced government attorney, with the specific evidence before the witness and clearly identified in the deposition. The biggest travesty of the entire history of the JFK medical investigations is that this was never done. The most important witness in such a deposition would have been/would still be Dr. Kemp Clark, the Head of Neurosurgery. Dr. McClelland would be a close second, because of the importance of his Warren Commission testimony, and because he complained afterwards of improper editing and improper use of his remarks by the documentarians in 1988. Both Dr. David Mantik and Robert Groden have viewed the back of the head photos stereoscopically, and both indicate a serious problem with those images: part of the image (the central portion of the image, the back of the head) appears 2 dimensional when viewed stereoscopically, and part of it appears 3 dimensional (the periphery of the image). If they are both telling the truth—and I believe they are—then that means we have no reason to trust what the HSCA photographic panel said about their own stereoscopic viewing of the autopsy photos. So do I trust the HSCA photographic panel? No, not in that regard. The viewing experiences of Mantik and Groden imply that the HSCA’s photo panel either blew it in this regard, or that they were intentionally dishonest. The Kennedy family (which unfortunately controls access to and use of the photos under the Deed of Gift) should allow neutral outside experts—several of them—to come and examine the back of the head photos and make a new assessment as to whether those images display evidence of photographic alteration. The experts should be allowed to bring JFK researchers of both camps with them, and to record any necessary images in order to scientifically resolve the issue. Furthermore, all of the autopsy photos showing JFK’s head in a metal head brace or stirrup are photos in which the back of the head is obscured—intentionally obscured, in my view. The massive damage to the top of the head and to the right side in those images is completely inconsistent with the Parkland observations of JFK’s localized cranial wound, and in fact are the results of illicit, clandestine post-mortem surgery at Bethesda Naval Hospital prior to the autopsy—surgery performed to remove evidence of two frontal shots. The damage shown in those photos is not caused by “the assassin’s bullet,” per Tom Robinson of Gawler’s funeral home, and Ed Reed, one of the Navy x-ray technicians—it was caused by Dr. Humes, wielding his scalpel and surgical bone saw, as he obstructed justice and destroyed a crime scene (the body of the President) as ordered to by the Admirals in the morgue. Returning to the point, the ARRB should have changed the venue for the Dallas doctors deposition to Washington after Steve Tilley and Burke Marshall refused to allow the autopsy photos to travel to Texas. This was a major failure by Jack Tunheim, the Chairman of the ARRB. Once it was decided not to change the venue back to Washington, Jeremy Gunn should have used the “Fox Set” of bootleg autopsy photos as questioning aids when he deposed the Dallas doctors in August of 1998. The fact that he did not do so is unforgivable. He should also have deposed each man separately, not all 5 Dallas doctors at once. But at least Jeremy Gunn did one important thing when he deposed the five Dallas doctors in 1998: he read to them from their key W.C. testimony from 1964, or from their treatment notes from the day of the assassination, and asked them if they wished to change anything. NO ONE DID wish to change any of their original wound descriptions, which cements forever the fact that JFK really did have an exit wound in the right rear quadrant of his head when he was treated on 11/22/63 at Parkland Hospital. Furthermore, when Jeremy Gunn and I interviewed Nurse Bell and Dr. Crenshaw in 1997, they both told us that while in Trauma Room One they saw NO DAMAGE WHATSOEVER to either the top, or the right side, of JFK’s head, and that they both saw an exit wound in the right rear of his head. “Do you think they were lying? I don’t recall the NOVA interviews and I don’t know which doctors and which photographs were included. If the doctors said the photos accurately represented the wounds that they described at Parkland, then the doctors were lying. -a large gash in JFK’s throat that obliterated the small puncture wound. It’s pretty easy to understand the wounds described by Parkland’s personnel by reading the doctors’ original notes and testimony, as well as interviews with nurses, et al. For the sake of career and country *some of the doctors* later lied about what they saw. I think Nova was pretty selective with the clips they used. It’s been a while, but I remember reading quite about a few interviews with Parkland doctors where they said they had a problem with the photos. Which isn’t surprising since, they contradict what they originally said they saw at the time of the assassination. Some documents from the AARB even show that one of the autopsy doctors, I think it was Humes, was surprised by what he saw in the photos, when he was interviewed before testifying. When he testified, he told a different story. I don’t feel like looking up the details, but McAdams probably knows this already anyway. The viewing experiences of Mantik and Groden imply that the HSCA’s photo panel either blew it in this regard, or that they were intentionally dishonest. Or that Mantik and Groden are hobbyist “researchers” who are seeing things that they want to see, and real experts could not see. You are simply blowing off the most reliable evidence, which is what you have to do to rescue your theory. The HSCA had top scientists examine the autopsy photos and x-rays, and they found them to be authentic. Do you think you can impeach hard science with 30+ year-old testimony (and mutually contradictory testimony at that)? I have faith that the forensic anthropologists who confirmed that the body was JFK’s by studying the folds in his neck, his ears, and his nose, etc. did a proper job. It is definitely JFK’s body in the autopsy photos, based upon the work of the HSCA’s forensic anthropologists. But as I stated above, the conclusion of the HSCA photo panel that there was no evidence of photographic alteration is now under serious doubt because of the empirical observations of David Mantik and Robert Groden, using stereoscopic viewers in the Archives. As stated above, the massive damage to the top and right side of the head in the autopsy photos—per Tom Robinson—is “what the doctors did, NOT what the bullet did.” And after all, Tom Robinson was at the Bethesda morgue, and you were not. the conclusion of the HSCA photo panel that there was no evidence of photographic alteration is now under serious doubt because of the empirical observations of David Mantik and Robert Groden, using stereoscopic viewers in the Archives. But you are quoting people who have no credentials or qualifications to make any such determinations. You are citing hobbyists. Tom Robinson was at the Bethesda morgue, and you were not. What you are doing is cherry picking testimony that fits your theory. In fact, the Bethesda testimony, like the Parkland testimony is all over the place. So of course you have to argue that the Zapruder film, and Nix and Muchmore are all faked, since they are consistent with the damage reported by the autopsy, and the autopsy photos. There is a simple rule here: the more stuff you have to argue is faked, the less plausible your theory is. What you are doing is in the same class as 9/11 Truther stuff. What are the asterisks for and are they used to redact information? I’d like to be able to give you article a thorough critique, so please help me out here. I happen to know a top scientist were reported to the HSCA on some photographic analysis. He reported on the authenticity of some photographs that were widely believed to have been faked and yet to me personally reported that they could in fact have been faked. He also posted a synopsis of the HSCA testimony online and at the end again admitted that they could have been faked. So, naturally I have some doubts about your post when I see asterisks. The asterisks are in the primary source. I happen to know a top scientist were reported to the HSCA on some photographic analysis. He reported on the authenticity of some photographs that were widely believed to have been faked and yet to me personally reported that they could in fact have been faked. What was the fellow’s name? Where can we find his testimony that the photos could have been faked? Obviously, your vague report has little value as evidence — at least until you post some source. This is a oversimplification of Zavada’s reasoning as per tests in Dealey Plaza with the original Z-camera or any other camera. The issue was matching the actual LIGHT present on that specific November 22 in 1963. To reproduce the camera and specific film type in any other circumstance than that of the situation of that day – the time of day, the day of year and the angle and brightness of the sun is essential to gaining any meaningful information. If Mr Horne was better informed on the properties of light, especially the distinctions between daylight and artificial light, he would not be making some of the outrageous claims he has made about the Zapruder film. The same goes for lying about surveillance photos and audiotapes in Mexico City. These are conspiracy factoids. If you disagree, post your evidence. So Douglas Horne’s considerable research and experience with this subject has brought him to a place of certainty in relation to his own conscience. Horne, in good conscience, cannot state that his description of events might be wrong. I believe Doug’s story. I also believe I could be wrong. I should then apologize immediately for sounding like a mudslinger. And thank you for letting me know what it’s like for you to read that post. It’s good feedback for me personally. My purpose really was only to provide a description and some feedback of my own regarding what it was like for me to view the Horne lectures and then one of Gunn’s back to back. I am really an outsider in this realm. And I think an outsiders perspective can be helpful. I was not suggesting that Mr.Horne should think himself wrong – quite the contrary. In any case my point here is less about substance and more about style. No biggie. Again, apologies. Also, I cannot tell, if you’ve caught my reply to your post, scrolling down from here, of Oct 13 @ 11:52. That’s substance as far as I’m concerned. If there is no conspiracy,why delay releasing the files? What are they trying to hide? As a person who was hired by Jeremy Gunn in 1995, and who worked closely under him (and with him) from August of 1995 until his abrupt and mysterious resignation from the ARRB (for unknown reasons) in July of 1998, I watched this presentation made by Jeremy Gunn in November of 2013 with great interest. Overall, I found it to be a good primer for those newly approaching the case, with respect to how many of the details about what really happened in Dealey Plaza in 1963 are truly “unknowable,” because of the many conflicts within the evidentiary record, and because of the many instances where key evidence in the case has a badly broken chain-of-custody. Jeremy also pointed out that in many cases supposedly “key evidence,” such as the Zapruder film, is subject to differing interpretations by different viewers; just as the reliability of witness testimony is subject to differing opinions by those evaluating their testimony or their recollections. For the most part, his speech was a cautionary tale about not jumping to conclusions without first considering ALL of the evidence about any facet of the assassination, pro or con. Jeremy is saying here that one must approach all evidence (film evidence such as the Z film or many of the autopsy photos; eyewitness testimony; and so-called forensics evidence) with extreme caution, and take nothing for granted about its accuracy or provenance. Yet—and I find this unfortunate—Jeremy continues to use all of the uncertainties about the evidence as a “mask” to hide behind in a sense, which allows him to continue to say that he personally has no idea who killed President Kennedy, and to thus avoid controversy. Significantly, I do recall reading an interview he gave to a Washington D.C. law journal circa the year 2000, in which he stated that he thought that far into the future the official consensus of government and media would be that Lee Harvey Oswald had killed President Kennedy, and that he personally thought that this ultimate “verdict of history” would be INCORRECT. That is the true Jeremy Gunn, the one I knew and worked with for almost 3 years—who while not knowing who assassinated JFK, certainly believed that there had been a massive U.S. government coverup of the facts surrounding his death, particularly of the medical evidence, and of the Mexico City evidence. This is the true value of this 2013 presentation: the many specific examples he gave of why we cannot trust the medical evidence or the Mexico City evidence. 4. Jeremy Gunn correctly admitted the importance of 2 brain exams (vice one) having taken place following the autopsy on JFK’s body, but deftly avoided discussing the unavoidable implications: namely, that the brain photos in the Archives today were taken at the second exam, not the first, and CANNOT BE photos of JFK’s brain. This is undeniably true; I know Jeremy believes it; and he was dodging the implications of this fact (U.S. government cover-up) by not mentioning the implications of the second brain exam. 5. Gunn’s personal bias toward the authenticity of the Zapruder film was blatantly obvious; but he may not yet have been acquainted with the remarkable testimony of Dino Brugioni, the Chief of Information at the CIA’s NPIC in 1963, who saw a different Z film the weekend of the assassination. If Jeremy could view the 4 hour, 15 minute video interview of Dino that I recorded on video in 2011, I’m confident his views on the authenticity of the Zapruder film would be modified. Mr Horne, please could you comment in the ascertion made by Mr Gunn that there is nothing of interest in the withheld files. Does this mean he has read George Joannides and David Phillips files for example? I am assuming there will be great things of interest in the Joannides and Phillips (and Morales) personnel files. It almost seemed to me that Jeremy Gunn was not talking about those files, but about a lot of others for which the redactions he was recalling were truly not assassination-related, but were protecting sources, methods, or non-relevant information that others still wanted to withhold (like who the NSA was bugging in 1963 and tactical invasion plans for Cuba). It seemed to me, as I listened to his speech, that he was possibly unaware of the content of the 1,100 records; I really and truly don’t know if he is familiar with them or their contents. I know I’m not—they are CIA records and I was on the Military Records Team, so I did not have access to them. Only Jeremy Gunn can clarify what he does or does not know about the 1,100 withheld CIA records identified by Jim Lesar and Jefferson Morley. I find Douglas Horne’s review and comments of Jeremy Gunn’s address to be spot on from my perspective. I had a nagging suspicion that Mr. Gunn was dancing around the May pole without ever tightening the ribbon while I watched his delivery and responded to questions. Mr. Horne’s analysis helped solidify in my mind that Mr. Gunn just didn’t “want to go there” and is not being helpful for either camp. Mr. Horne was on the board and wrote about it in great detail and with careful analysis in his 5 volume book, Inside the Assassination Record and Review Board. Towards the end of Mr. Gunn’s address and question & answer session, I was stunned to hear him tell about interviewing so many key players, most of which have now passed. I can only guess that time will tell of his disservice to the American public, much akin to his view of the Warren Commission’s disservice to the American public. There are records and photographs that have been withheld from the board. This is a fact and yet it gets a dry brush when addressed. Mr. Gunn should get a back brace himself and stand up straight. Quentin Schwinn! Are you the guy who Douglas interviewed and talks about in his lectures? Amazing, must be. I have a question for you regarding the the photograph of JFK that was shown to you -if you don’t mind? Why, do you think that guy showed you that photograph in the first place? It makes sense that you were asked to comment on length of airplane shadows in the first photograph, but what would they have gained from showing you a post mortem photograph of the President. Did they ask you questions about the shot? namely, that the brain photos in the Archives today were taken at the second exam, not the first, and CANNOT BE photos of JFK’s brain. Did you even notice the fact that the two witnesses you had to impeach the brain photos (O’Neill and Stringer) flatly contradicted each other? Oswald was impersonated by phone in Mexico City. That’s a fact demonstrated by the transcripts [we don’t need the tapes: the very absence of the tapes is a conspiracy fact reinforced by the absence of Oswald’s photos taken by the CIA in Mexico City] of the five phone conversations tapped by the CIA involving him. However, Gunn has swallowed a CIA-elaborated factoid regarding Oswald in Mexico City: that Kostikov, one of the officials met by Oswald at the Soviet Consulate in Mexico City, was the “chief” of KGB Assassination Department in WH. Wow! It’s really as if the worm is turning. Disclosure: I am the brother of Douglas Horne, the chief analyst for military records on the ARRB. After reading the article about Jeremy Gunn’s speech at the University of New England, my impression is that, as the ARRB’s former general counsel, he has decided to take a careful legal approach in his comments regarding the ARRB’s investigation into the assassination and the various allegations of a cover-up. He points out the evidentiary inconsistencies and conflicts discovered by the ARRB, but does not draw conclusions from those facts. Instead, he points them in the direction of certain lines of inquiry and thereby appears to invite people interested in pursuing the matter to make up their own minds. I will not fault him for that — he is brave to go even that far in public statements. But this is not the only approach to the topic which is valid. It is also appropriate for others (such as my brother) to do what Jeremy Gunn implicitly invites: consider the facts we know about to date and draw conclusions — and write and speak about it if they so choose. Just because a person has an opinion (conclusion) about something does not necessarily mean that he has a personal “commitment” to a preconceived outcome. If you disagree with someone’s opinion about anything, you can investigate the matter yourself, examine contrary viewpoints, and draw your own conclusions. That is what an honest investigator (or historian) will do; lay out the facts, draw his or her conclusions from those facts, and invite you to do the same. If previously unknown facts come to light, those sometimes change conclusions and viewpoints. That happens in history and science. It has certainly happened to me; things I previously thought to be “so” have been proven wrong by the inconvenient intrusion of new information. So be it. The more we know, the better — and my conclusion/opinion/viewpoint (take your pick) is that we surely do NOT yet have all the facts about what led up to the JFK assassination, how it occurred, and what happened afterwards. Its not quite correct to suggest Gunn does nothing to point towards his opinion. Unless I am misjudging his position it is that the Cover-up was carried out to prevent deaths, and that LBJ genuinely believed this was the best approach. He shies away from who assassinated The President, but not that there was a cover-up. My judgement is that this is unstable ground to stand on, as it doesn’t sit well with the Mexico City Saga. If the CIA set up Oswald via Mexico City Embassies then the evidence LBJ used did not justify a cover-up. You know the evidence well, my friend, and you came to the correct conclusion. For the sake of that 1988 documentary, Dulany and Peters decided to “go along to get along,” to use the parlance of the American southwest. They fudged their answers—essentially lied—and looked most uncomfortable doing so. At least McClelland cried “foul” later about how the editors had misused his statements when they put the program together. As for Dr. Jenkins, his daughter told David Lifton (as recounted in the afterword to “Best Evidence”) how she and her father “celebrated” JFK’s death every November 22nd, by drinking alcohol and toasting to his death. It was a brutal thing to say, but very revealing about human nature: some people will later lie in order to “defer to authority” and help cover-up a great misdeed, rather than tell the truth, at some risk to their professional careers. The doctors’ statements about the autopsy photos in “Who Shot President Kennedy?” are virtually useless as evidence, particularly since Dr. Peters, when under oath before the ARRB attorney in August of 1998, said he did not wish to retract anything he had said in 1964 to the Warren Commission. He and McClelland then both confirmed in 1998, to the ARRB, that JFK had an occipital-parietal wound in the right rear quadrant of his head. That would seem to invalidate, or at least call into question, anything Peters said in 1988 in a TV interview. That travesty of an interview in that documentary is no substitute for a properly conducted formal deposition, in which each autopsy photo is shown to the witness, one a time, and the witnesses’ statements, under oath, are recorded for posterity. A deposition also allows the opportunity for clarifying questions when the deponent gives imprecise answers. That’s untrue. Not only do I own a copy, the Marquette library does. I notice you are having to squirm and resort to ad hominem arguments to get around the fact that all four of the doctors gave testimony that you find inconvenient. He and McClelland then both confirmed in 1998, to the ARRB, that JFK had an occipital-parietal wound in the right rear quadrant of his head. That would seem to invalidate, or at least call into question, anything Peters said in 1988 in a TV interview. But you are assuming that your interpretaton of what they told the Warren Commission is accurate. I’m fairly certain, Doug, that the NOVA documentary “Who Shot President Kennedy?” was actually a film by Robert Richter licensed to NOVA. The film was made with input from David Lifton, who I believe is still friendly with Richter. It’s a bit foggy, but I’m pretty sure the film was at one time available for sale, but only through Richter’s website. As for the Parkland doctors, your comments above confirm what I came to realize through numerous exchanges with Lifton and Fetzer on the ED Forum website–that conspiracy theorists are no friendlier to the “Parkland witnesses” than Arlen Specter. I mean, these men were near-saints as long as they insisted the wound was on the far back of the head, but once they admitted they may have been mistaken–something ALL doctors are trained to do when confronted with autopsy reports and photos in opposition to their surgical reports and recollections–they became liars, cowards, and bears, ha ha, liars, cowards, and bears… (An attempt at humor referencing the Wizard of Oz. Sorry.) In any event, you know of which I speak. Why can’t we accept that these men tried to tell the truth whenever asked, but that the truth is just not all that clear to them? I mean, I have a far better memory than most everyone I know, and I don’t think I could tell you much from only a few hours ago with absolute precision. That’s just not how the human mind works. In fact, I just tested myself. I have an inch and a half long scar on my arm from a box-cutter accident twenty-five years ago. Although I notice this scar with regularity, when I just went to look at it, I looked at the wrong arm. (As I usually notice it while looking in a mirror, this is almost understandable.) But when I looked at the other arm, I found it was about two inches closer to the wrist than I remembered it. Our memories are fallible, no matter how infallible we’d like them to be. Pat, your above note is one of the most logical that I have seen on this blog. In a nutshell it states what CTers have a hard time getting around- that initial ER interpretations of gunshot wounds may be erroneous and that the only true evaluations of the characteristics of those wounds comes from postmortem evaluation. Once you accept that reality, borne out by medical studies published in reputable medical journals, any scenario other than shots from above and behind becomes untenable. Now if you only apply the same logic to sources like Roberts or your soldier friend who claims that Marines can’t shoot at moving objects you have a good chance of coming into the light. Photon, you seem not to ever get that even if what you are saying is true, that it doesn’t support your point. 100% true, memory is tricky, and recollections can be wrong and fade over time. But that is true on both sides of the debate. I keep saying this, and you never acknowledge it. You argue that anybody who disagrees with you has a memory problem and anybody who supports your view is credible. That is absurd, and just another way to throw red herrings to distract from the real issues. No doubt memories are not fully reliable, but that is just one of the many, many problems with the official story. As usual, a conspiracy view point that ignores a simple fact. The forensic evidence as noted by the autopsy results, x-rays, photographs, etc. is composed of permanent, reproducible records of events untainted by alterations of subjective opinions, time, memory ( false, faulty or even accurate) or even initial erroneous observations. That evidence must be the basis of what the true facts are, not the”eyewitness” testimony that cannot be reproduced or verified. That concept is the basis for forensic science . It is why autopsies are performed,why CSI techniques have been developed, why people continue to be found innocent of crimes despite the witness testimony that sent them to prison. In the case of JFK that forensic evidence has been analyzed by true experts-forensic pathologists, many recognized as world authorities in the subject. All of them,save Cyril Wecht, have come to the conclusion that despite the selective interpretation of eyewitness observations made briefly,under stress, from impossible angles ALL shots that hit JFK came from the rear and above. By every standard of forensic and medical science that conclusion must be correct. There is no rational alternative, unless you believe that the entire field of forensic pathology is bogus. There are three categories of headwound witness. 1. Large hole at BOH and consistently state this. 2. Large hole at BOH and have inconsistently stated this. 3. No hole/small hole at BOH. As far as I’m aware there are no witnesses who initialy stated there was no/small hole at the BOH and then changed their story to stating there was a large hole at the BOH. If there are no such witnesses, it suggests a bias towards changing ones story to move the BOH hole away from that position. Quite frankly if you read enough testimony and judge witness credibility via video interviews for yourself its difficult to avoid concluding there was a large hole BOH. If there are no such witnesses, it suggests a bias towards changing ones story to move the BOH hole away from that position. No, it suggests a bias among conspiracists toward interpreting vague and imprecise statements to mean a hole in occipital bone, and when the doctor is questioned and allowed to give a more precise account, it turns out that he didn’t mean that. Just to give one case, this is what Carrico drew for the Boston Globe. You’ll probably want to claim he lied, but his early testimony is consistent with the drawing. The way conspiracists interpret his early testimony is not. John, you missed your time: You should have been available in 1964 when Senator Russell had his doubts about the single bullet theory. He obviously had trouble accepting it, based on what he was saying afterward, but maybe had you been there to argue with him about buff factoids and other “McAdamsspeak” he could have changed his mind! It would have been fun and amusing to watch you guys argue. Thank you for posting Carrico’s diagram, I haven’t seen that before. He seems to have drawn a location that doesn’t satisfy ; the BOH hole theorists, the bootleg autopsy photographs,Ida Dox’s diagram, or the actions of the Parkland Doctors in focussing on the neck wound. I suppose I could claim this is a diagram trending away from the BOH, but I couldn’t reach to claiming a lie. Have you got a diagram that shows a witness who initially stated there was a small rear headwound, then changed their statement to a large BOH wound? That would merely demonstrate there was no bias in the inconsistent testimonies TOWARDS the a front to back headwound. Have you got a diagram that shows a witness who initially stated there was a small rear headwound, then changed their statement to a large BOH wound? Well Grossman first told the Boston Globe about a small entry wound square in the middle of occipital bone. Then, when the interviewer told him that McClelland had put a large wound back there, he changed his story a little bit and made the wound as large as a quarter. He said McClelland was a “Christian gentleman” and he seemed sure he would tell the truth. But Grossman consistently put the large defect in parietal bone above the ear. His ARRB diagram is exactly what he told the Boston Globe. But be careful about saying that a doctor “changed his story.” I think you are accepting the conspiracy interpretation of all those early “back of the head” witnesses. In reality, their testimony was pretty imprecise, and has been arbitrarily classified as in occipital bone by conspiracists. Do you consider McLellands latest testimony on You Tube as in any way “vague”? Consider the pressure they were under to perform in a socially acceptable manner. Truly. After all, they were being sought out and put before the world upon a pedestal owned by a powerful media source/authority. (One which is also funded by the government, I might add). In addition, the Kennedy family themselves were personally authorizing their access to the photos (such as they are) and allowing them to be transported to Dallas for convenience. That carried an implicit message of support by the Kennedy family for the legitimacy of the evidence, which is in serious doubt now. So their adamant denial of the photos’ veracity had a built in, multi-level psychological impediment. First, they would have to stake their professional relationships, reputations, and careers upon having an infallible 25 year memory skill. Secondly, they would have to starkly face down a media culture that labeled all conspiracy people as looney tunes on the basis of a prosecutor’s brief (the government’s WC report) by coming out with one of the biggest conspiracy whoppers of all time: evidence tampering by the government. Thirdly, they would have to disregard any consideration of the Kennedy family, whose shadows stretched across the whole procedure. Lastly, if one came out with that kind of information, they all needed to, and they all knew that they all would not, so none of them did. Is it any wonder they would walk in the room, look at the photos, suffer cognitive dissonance, and quickly divine the path of least resistance out of the box that they found themselves in? Not at all. Almost mandatory really, and what’s more they would walk away believing they had spoken the truth. Intentional or not on the part of the producers, this only had one feasible outcome, the one that happened. It is evidence of nothing in light of the evidence. Of course in the event of evidence tampering, the most powerful of all causes for cognitive dissonance and a resultant benign resolve would have been the message in the photos themselves. If they did this to Kennedy after Parkand, then it will not go well for Parkland doctors who come out with accusations now. It would be hardball, not softball. Best to soft-pedal any hardball stuff. Plenty at stake after all. Consider the photo called the “Groden superior right profile”. The photo shows a “V”-shaped ‘cut’ at the right forehead. Also depicted is massive damage to the top-front of JFK’s head characterized by what appears to be strips of wet scalp laid back and open. Any of Parkland’s doctors could have viewed this photo and said something like, “Yes, that’s Kennedy, and his face looks about the same, and it is *possible* that serious underlying damage existed at the top-front of his skull.” What they CANNOT say is, “The photo accurately represents what we observed”. Nobody at Parkland described any such wound. Or even close! As I said before, I’m not familiar with the NOVA interviews – whether the audience was allowed to see the photos, how the verifications were worded, etc. Yet it’s easy to see how confirmation of the photos doesn’t necessarily confirm the wounds. It’s a sneaky way to lead people to predetermined and wrong conclusions. -Did you see the “V”-shaped notch and, if so, why didn’t you describe it for the record? -Does the “V” notch appear consistent with your experience with bullet wounds? -Why do you think that none the doctors observed and described the massive damage to the top-front of Kennedy’s head? – Did the skull appear caved in or missing at that location? I can think of at least a dozen other questions relative to that particular photo. Softball questions don’t get it done. Bottom line, Parkland personnel described and interpreted the wounds as follows: a small puncture wound in JFK’s throat and a large avulsive wound at the back-right of JFK’s head. While they *may* have been wrong (doubtfully), those are the wounds that they actually described . . . and NOT the ones that were depicted in the photos. It is impossible to believe that ANYONE would have seen the wound illustrated by Ida Dox and then describe it as a large, avulsive wound with protruding cerebellar tissue. Some of the doctors lied. Pat, you are repeating information about Richter’s documentary that I already stated in one of my comments. I stand by my statement that PBS has never sold it. Richter may have sold it himself, as you indicate, but when I watched the thing in 1988 (and taped it) and again in 1992 it was never offered for sale by PBS in the credit roll. Pat, as Gary Aguilar and David Mantik have pointed out, human memory can be, and usually is, extremely accurate (into the high 90s as a percentile) when the event is an important one, and when the facts they are questioned about are salient (i.e., imnportant facts as opposed to trivial facts), providing adrenaline has the chance to kick in. Since Kemp Clark stated at the Parkland press conference that the treatment of JFK went on for 40 minutes, and since it was the most important and startling trauma room case any of the staff at Parkland ever dealt with, I have high confidence in their observations. I do not believe that “nothing is knowable” because of the “unreliability of human memory.” Human memory can be very, very reliable, and I think that those of the Dallas doctors was remarkably consistent and reliable. This claim is entirely bogus. Aguilar cites Elizabeth Loftus, the top academic expert on memory in the country. But Jean Davison e-mailed Loftus, and she said she asserted not such thing, and disavowed Aguilar’s claim. I would like to add to this debate that the words of the Parkland Doctors should be judged alongside their actions. Dr Perry focussed on the throat wound, why? because he was focussing on the greatest perceived threat to life. It was only after his attention was drawn to the fatal BOH wound that he decided opening up the President for further examination was pointless. If the President had a massive wound extending to the front of his head then conspiracy theories need to focus on the possibility that the Parkland Doctors were criminally negligent in their treatment of the President. “…Gary Aguilar and David Mantik have pointed out, human memory can be and usually is extremely accurate…” -exactly what makes those two individuals experts on memory, accurate or otherwise? Just because they have M.D. after their names you assume that they are experts in psychology and human behavior? And yet you dismiss the opinions of pathologists who truly know everything about everything medical-but too late. So memory is very,very reliable- especially in an ER setting where documented medical studies have shown the interpretations of bullet wounds is accurate at the rate of a coin toss? Are you serious? JFK arrived at the Parkland ER at 12:38 PM CST. JFK was declared dead at 1:00 PM CST. The medical staff agreed to delay the time of death to allow the priest to deliver the Last Rites- assume about 4-5 minutes for Exteme Unction in 1963. That leaves less than 20 minutes for resuscitative efforts. In less than 5 hours the vaunted memory of Dr. Clarke was already falsely remembering the time spent in treating JFK- by a factor of two. In the stress of treating JFK FALSE memory was as likely as accurate memory! How can anybody logically believe your claims about memory when you impeach them by your own statements? Photon, I would like to respond to your comment about Dr. Kemp Clark’s recollection of the time of treatment being 40 minutes instead of the probable 20 minutes. Fewer people can have an accurate sense of elapsed time than people who can remember what they saw and what they did. I would say that Dr. Clark’s expansion of time would be normal under the circumstances. He was absorbing and cataloguing and analyzing an awful lot of information and I think any normal person would remember all of it. It’s quite normal to revisit and “go over in your mind” what had just happened and to repeat the steps taken and the things done and things that were seen. After a big and important event, I refrained from using the word memorable event even though it certainly was, people revisit and this reinforces memory. Time expansion or the incorrect recollection of time in this particular instance is quite normal since I’m sure no one was watching the clock to see how much longer trying to save the President’s life was going to last before they could get out and maybe go to the golf course. It has often been reported under times of stress that it seemed like time stood still and yet people can remember exactly what was going on during the time when it felt like things were in slow motion. I find it a very weak argument to use this phenomenon about Dr. Clark’s seemingly incorrect recollection of time spent trying to save the life of the President as anything more than something that would be expected. Then, to use this as an excuse in an attempt to “throw the baby out with the bath water”; to say that the rest of his memory could be argued to be flawed, is just inexcusable in my opinion. Photon, Photron, Proton, whatever, it paints a bad picture in my mind of your thought process. ” …I’m sure no one was watching the clock to see how much longer trying to save the life of the President was going to last before they could get out and maybe go to the golf course.” That is truly an idiotic statement by someone completely ignorant of ER management, surgical coverage and policies when aggressively resuscitating patients. When performing a Code you ALWAYS note the time and continuously update how long resuscitative procedures occur. The insulting comments about the Parkland Attending M.D.s is reflective of a mindset incapable of actually looking at the situation in a rational matter. But thanks for proving my point about the unreliability of memory during times of stress and how completely bogus Mr. Horne’s claims are.If Dr. Clarke’s memory of time is incorrect, despite the standard policy of continuous updates of duration of care, how can his other recollections possibly be considered infallible and totally correct? Mr. Horne needs to look at the multiple individuals inappropriately incarcerated with lives ruined by accepting false “recovered” memories of events that never happened in regard to multiple child abuse claims in the 1980s. Akira Kurosawa filmed a wonderful movie that Mr. Horne should view to see how unreliable his vaunted ” memory evidence” truly is. Notice how when Doug Horne’s assumptions are revealed to be nothing but groundless speculation based on ignorance of basic medical practices ( ie, the impossible postmortem “surgery” that has never been successfully done anywhere) he disappears? In an earlier post by Photon, where he left no opportunity for a direct repy, he wants us to name one forensic pathologist besides Cyril Wecht, who doesn’t support the findings of the Bethesda autopsy. Apparently, the fact that Wecht doesn’t support it is not good enough evidence for Photon. Cyril’s been around, y’know, Photon. Can’t do it, can you Paul? Perhaps that should lead you to question the accuracy of Wecht’s interpretation, no matter how long he has been around. It won’t lead me to do that, Photon. You admitted Wecht doesn’t support the findings of the Bethesda autopsy. You could have said Wecht was wrong to not support the findings, but you didn’t say so. If he is indeed the only one, that’s good enough for me. Wecht has said a lot of different things, but he admitted to the Rockefeller Commission that the autopsy evidence doesn’t show any shot from the Grassy Knoll. Very interesting observations from Jeremy Gunn, former chief counsel of the ARRB. All this from a man who was chief counsel of the ARRB. As I expected. Any smoking gun evidence is destroyed. The “bastards” got away with it. Its a disgrace! Maybe somebody like Ruth Paine will come clean before they die. Someone has to want to clear their conscience. Richard Schweiker believed there were elements of the CIA involved in the assassination. Boggs(WC) died because of his opinion. Unbelievable! Had anybody interviewed the Kennedy Family about releasing the records? I am doing a little empirical study and invite the readers to do the same and report their findings. It is about TV network coverage, along 51 years. You will notice that ABC (Liberal, later owned by Liberal Steve Jobs) broadcasts it. You will notice that CBS, founded and owned by the Bush family is the broadcaster. Faux tends to fall in this category. I still have not figured out NBC and am fuming about PBS. Additionally, along half a century, some things change, and there are exceptions. All in all, the mathematical correlation is remarkable. Disclaimer: I am a big fan of the Bushes, specially Jeff, for their pro-Latino position. The Bushes are much more hated by the Far Right than by us Liberals. In short: This is NOT about having an ax to grind. Numbers do not lie. I am a newcomer at this site but not new to the subject. I have the greatest respect for Douglas Horne and the job he is doing. I have not read his book but seen the six hour video a couple of times. There is a lot of information to digest. I am impressed by the mostly respectful tone used in this page; but sometimes I hear the echoes from the YT discussions I have been participant of for the last + year. I am 73-year old lawyer and particularly interested in some very important aspects of this case. It seems to me that any hint of questioning the police investigation or the autopsy automatically classifies you as a Conspiracy Theorist, in the negative sense of the word (is there a positive?). However, any criticism implies wrongdoing by the authorities. During the years, the various inquiries have revealed a lot of wrong-doing; some of it on purpose.Jeremy Gunns recent statement bears witness to this. Does that make him a “Conspiracy Theorist”? I am especially interested in listening to what John McAdams and Photon, who seem to be Horne´s worst adversaries have to say about that? My professional interest is of the same sort that Douglas Horne described for himself and Jeremy Gunn at the outset of their ARRB work. The fascinating facts of this case; they may lead where they might. The problem I find is that this is not how it works with everybody; even when they appear under fictitious names. I wonder why. The feeling I get is that those who act this way – even when confronted with irrefutable facts – is that it has to be a case of cognitive dissonance or with a conscious dis informant. My interested has been focused on the Single Bullet Theory. The reason is that if the SBT is not true, the rest of the investigation is bogus also. All forensic evidence, as we know, shows us that the bullet cannot have entered Kennedy´s back where the WR says it did. If it does not enter that point it cannot have entered Connally where it did; etc. Therefore it is false. No one has refuted the sheer logic of this with any other arguments than that the wounds in Connally cannot be explained in any other way. That is correct if you believe that the police found all the evidence and reported the correctly. Here is where the problems start. Here is where you start to point out the facts and the obvious conclusions from the facts to be a “Conspiracy Theorist”. This makes generations of serious persons, who have found and pointed at wrongdoing or false or misleading information, into “Conspiracy Theorists”. This makes sense only in the sense that George HW Bush made immortal: “right or wrong, my country”. You just don´t criticize your Government; even if they have been doing wrong. It is absolutely embarrassing that you let John McAdams and “Photon” make so many posts – cluttering and obfuscating the issue. If you want to give them so much space, allow them to make a reply in an actual post. But this format, where they just keep spinning their web of nonsense, really discredits JFKFacts. We never saw what photos the doctors looked at in the 1988 special. At Parkland Reunion McClelland called the whole process ridiculous. In the 90s ARRB was to bring the photos to the doctors, but didnt, in the name of national security? But more likely, because they were different photos than were seen in 1988 (and only a few years apart) and there was fear somebody like McClelland would say these arent the same pictures…and then Houston, we have a problem. Easier to hide behind national security.